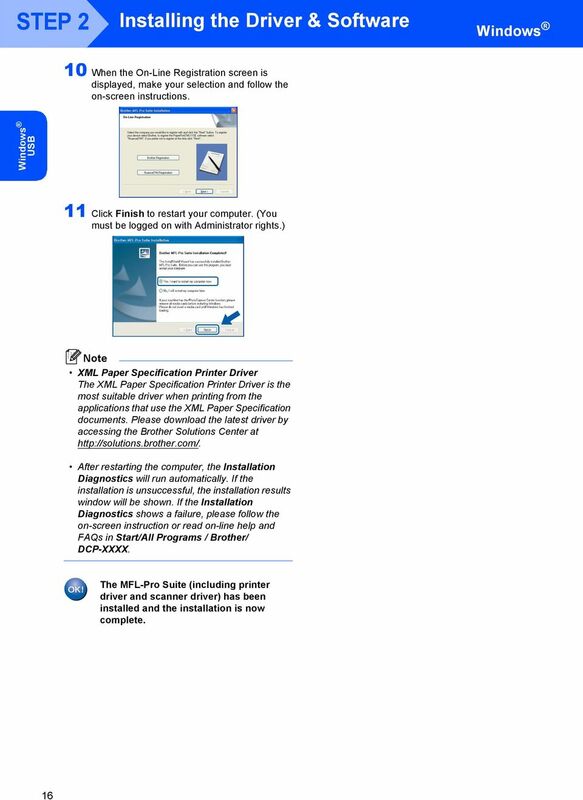 Download "Quick Setup Guide DCP-9040CN DCP-9042CDN STEP 1 STEP 2. Setup is Complete! Setting Up the Machine. 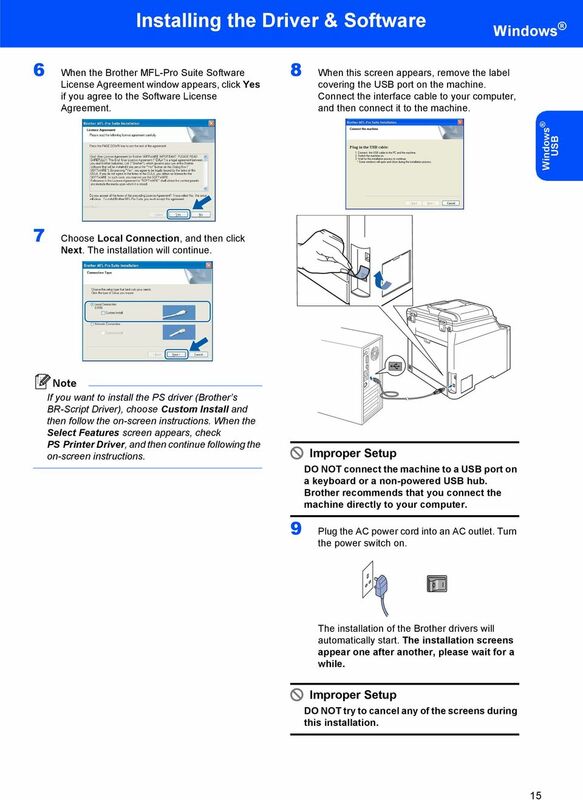 Installing the Driver & Software"
2 1 Symbols used in this guide Warning Electrical Hazard Hot Surface Caution Warnings tell you what to do to prevent possible personal injury. 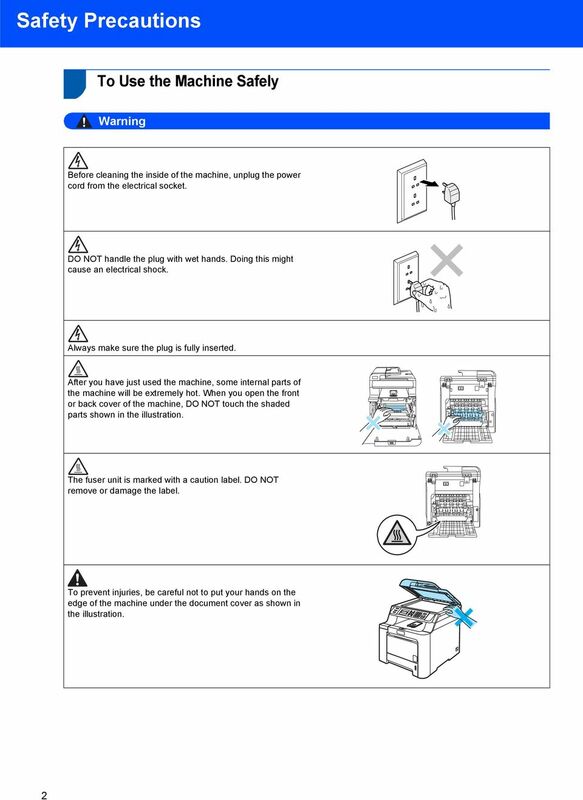 Electrical Hazard icons alert you to a possible electrical shock. 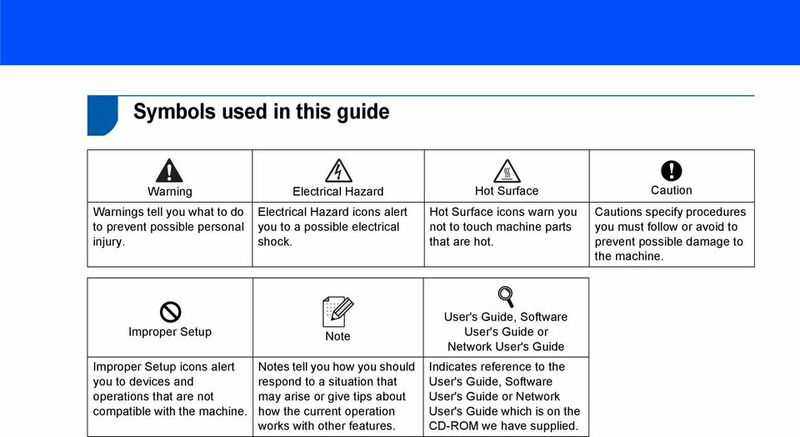 Hot Surface icons warn you not to touch machine parts that are hot. 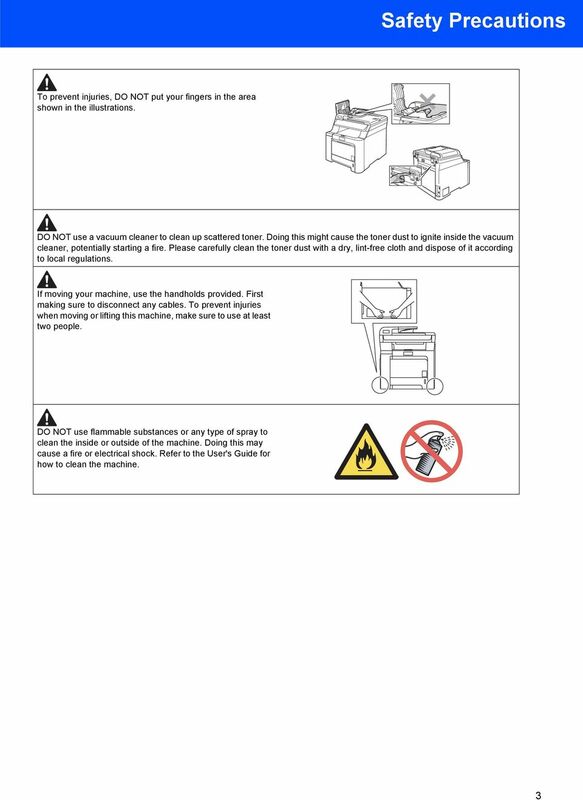 Cautions specify procedures you must follow or avoid to prevent possible damage to the machine. Improper Setup Improper Setup icons alert you to devices and operations that are not compatible with the machine. s tell you how you should respond to a situation that may arise or give tips about how the current operation works with other features. 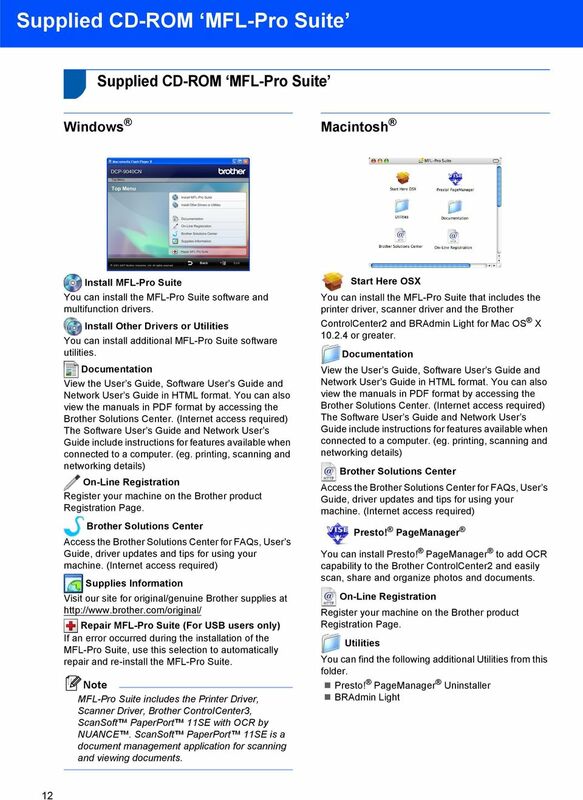 User's Guide, Software User's Guide or Network User's Guide Indicates reference to the User's Guide, Software User's Guide or Network User's Guide which is on the CD-ROM we have supplied. 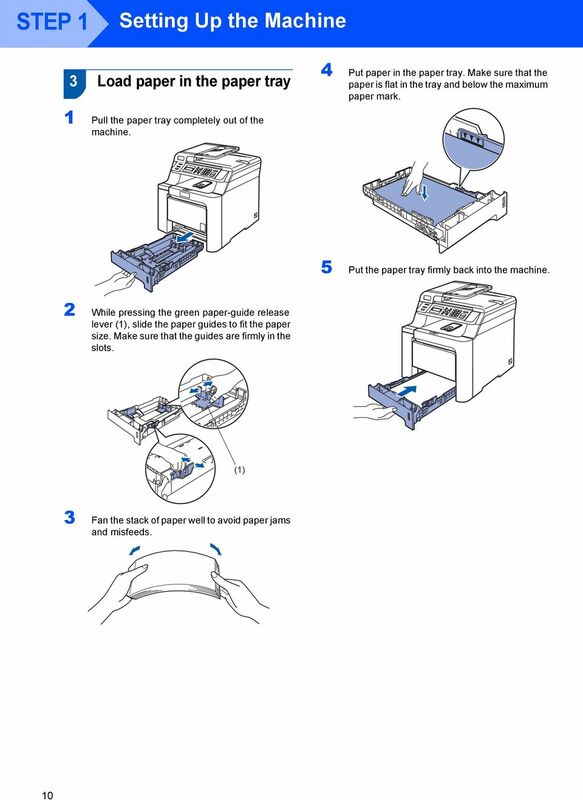 8 Getting Started 1 1 Carton components Carton components may vary from one country to another. 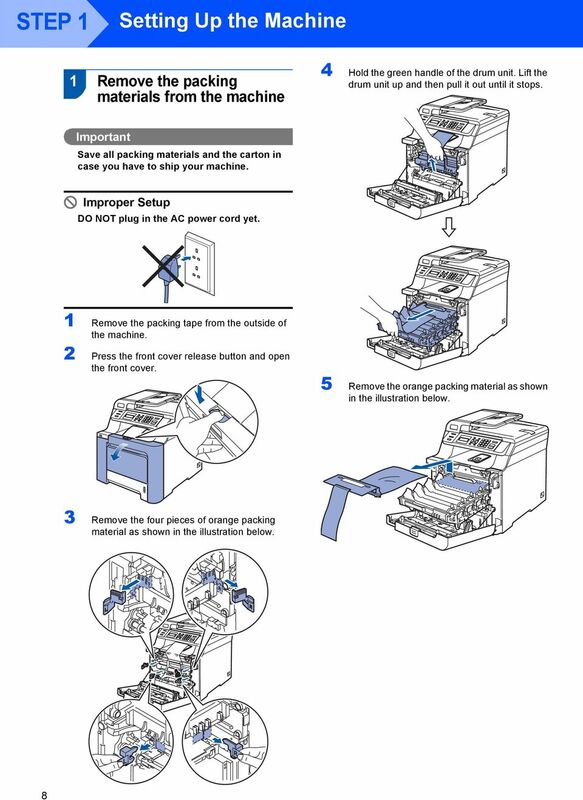 Save all packing materials and the carton in case for any reason you must ship your printer Automatic Document Feeder (ADF) 2 Control Panel 3 Front Cover Release Button 4 Front Cover 5 Paper Tray 6 Power Switch 7 ADF Document Output Support Flap 8 Document Cover 9 Face-down Output Tray Support 10 Multi-purpose tray (MP tray) CD-ROMs For For Macintosh Quick Setup Guide Belt Unit (pre-installed) AC Power Cord Insertion Sheet and Plastic bag for repacking Waste Toner Box (pre-installed) Toner cartridges (Black, Cyan, Magenta and Yellow) Drum Unit (pre-installed) The interface cable is not a standard accessory. 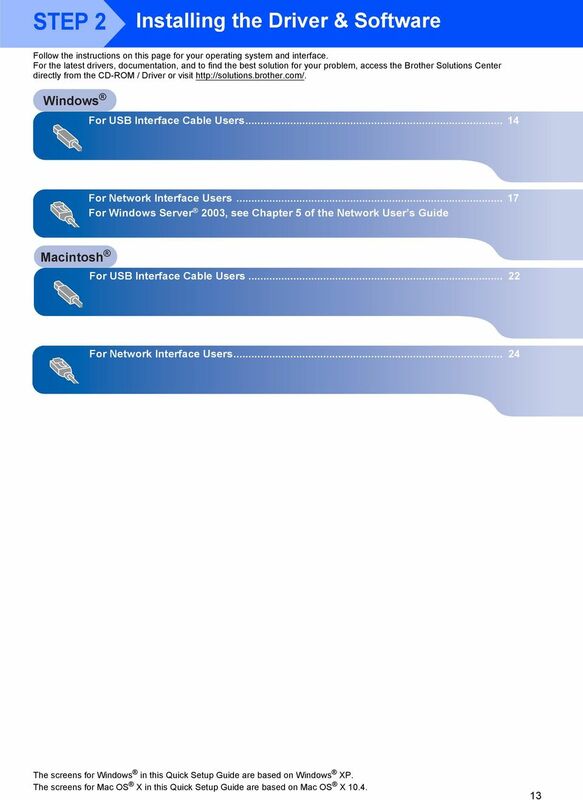 Please purchase the appropriate interface cable for the interface you intend to use (USB or Network). DO NOT connect the interface cable at this time. Connecting the interface cable is done during the software installation process. 6 USB interface cable Please make sure you use a USB 2.0 interface cable that is no longer than 2 metres. When you use a USB cable, make sure you connect it to the USB port of your computer and not to a USB port on a keyboard or nonpowered USB hub. Network cable Use a straight-through Category5 (or greater) twisted-pair cable for 10BASE-T or 100BASE-TX Fast Ethernet Network. 33 Trademarks The Brother logo is a registered trademark of Brother Industries, Ltd. 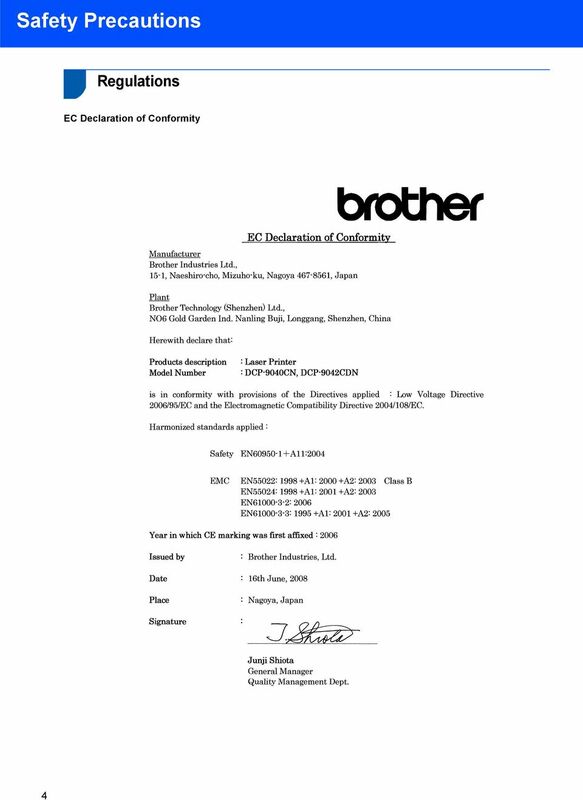 Brother is a registered trademark of Brother Industries, Ltd. Multi-Function Link is a registered trademark of Brother International Corporation. Microsoft, Windows and Windows Server are registered trademarks of Microsoft Corporation in the United States and/or other countries. 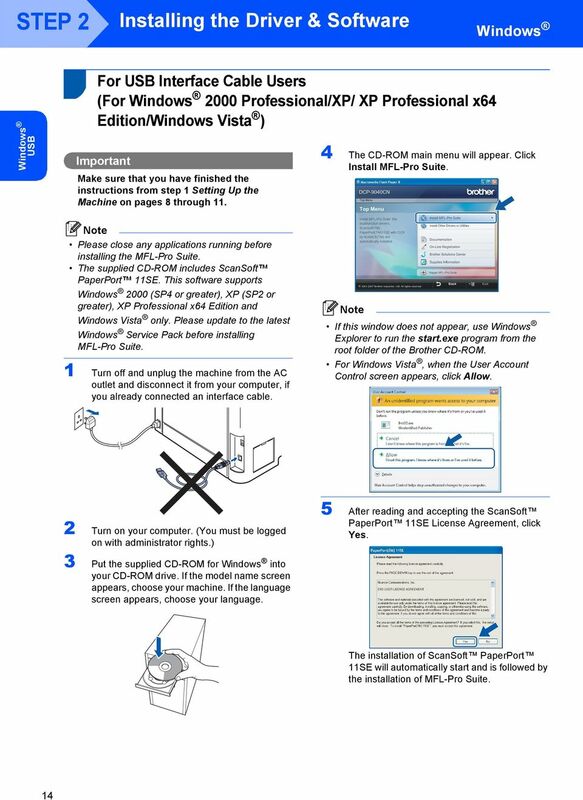 Windows Vista is either a registered trademark or a trademark of Microsoft Corporation in the United States and other countries. Macintosh and True Type are registered trademarks of Apple Inc. Nuance, the Nuance logo, PaperPort and ScanSoft are trademarks or registered trademarks of Nuance Communications, Inc. or its affiliates in the United States and/or other countries. Presto! PageManager is a registered trademark of NewSoft Technology Corporation. 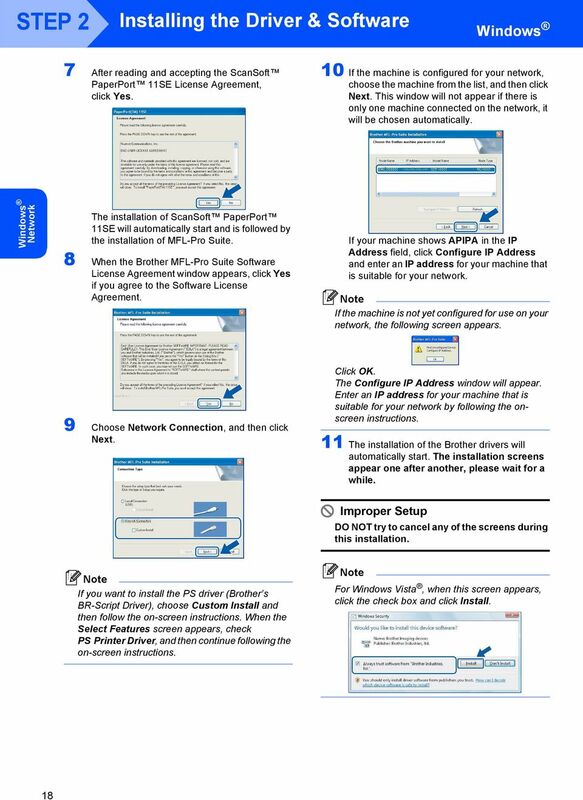 Each company whose software title is mentioned in this manual has a Software License Agreement specific to its proprietary programs. All other brand and product names mentioned in this manual are trademarks or registered trademarks of their respective companies. Compilation and Publication Under the supervision of Brother Industries Ltd., this manual has been compiled and published, covering the latest product descriptions and specifications. 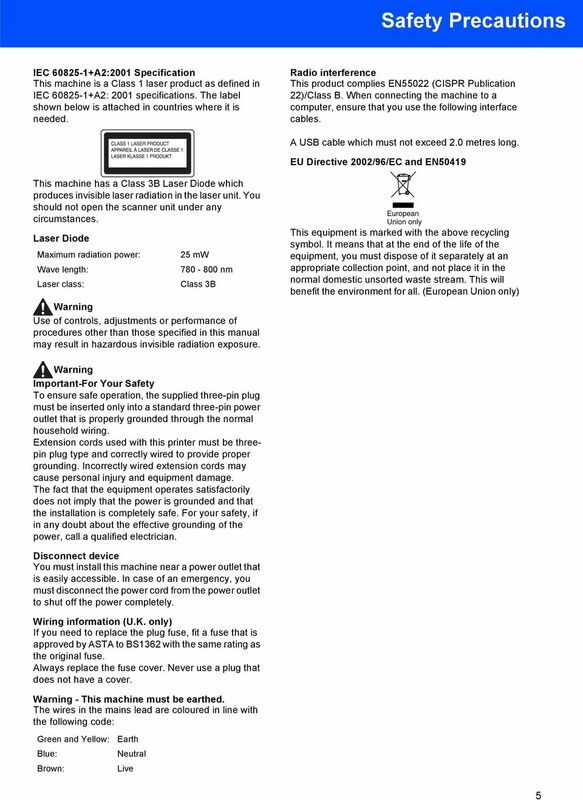 The contents of this manual and the specifications of this product are subject to change without notice. Brother reserves the right to make changes without notice in the specifications and materials contained herein and shall not be responsible for any damages (including consequential) caused by reliance on the materials presented, including but not limited to typographical and other errors relating to the publication. This product is designed for use in a Professional Environment Brother Industries, Ltd TROY Group, Inc PACIFIC SOFTWORKS INC. This product includes the "KASAGO TCP/IP" software developed by Elmic Systems, Inc. Portions Copyright for ICC profiles 2003 by European Color Initiative, ALL RIGHTS RESERVED. STEP1. Setting Up the Machine STEP2. 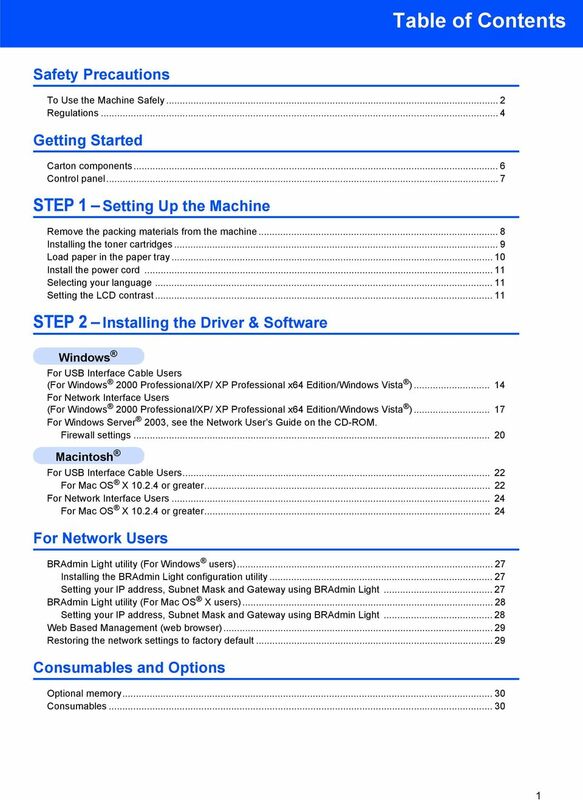 Installing the Printer Driver. Setup is Complete! STEP 1. Setting Up the Machine STEP 2. Installing the Printer Driver. Setup is Complete! 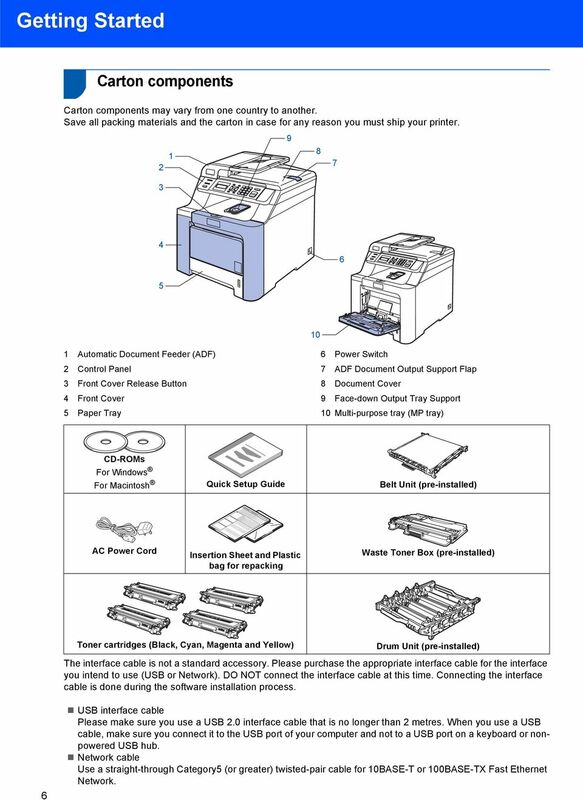 HL-2150N Quick Setup Guide Laser Printer Before you can use the printer, you must set up the hardware and install the driver. 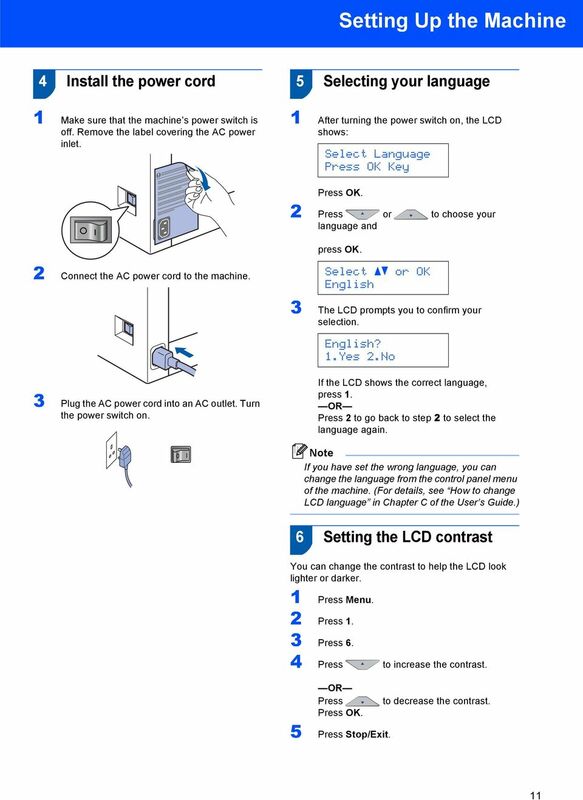 Please read this Quick Setup Guide for proper set up and installation instructions. 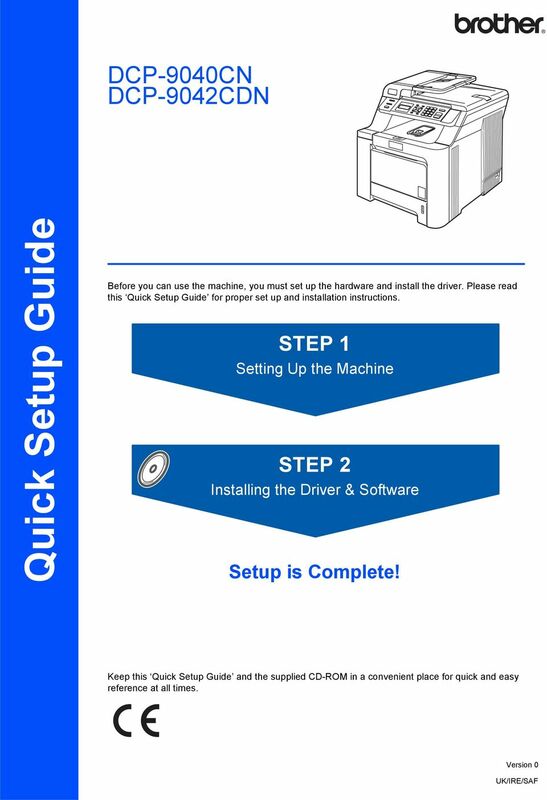 HL-2140 Quick Setup Guide Laser Printer Before you can use the printer, you must set up the hardware and install the driver. 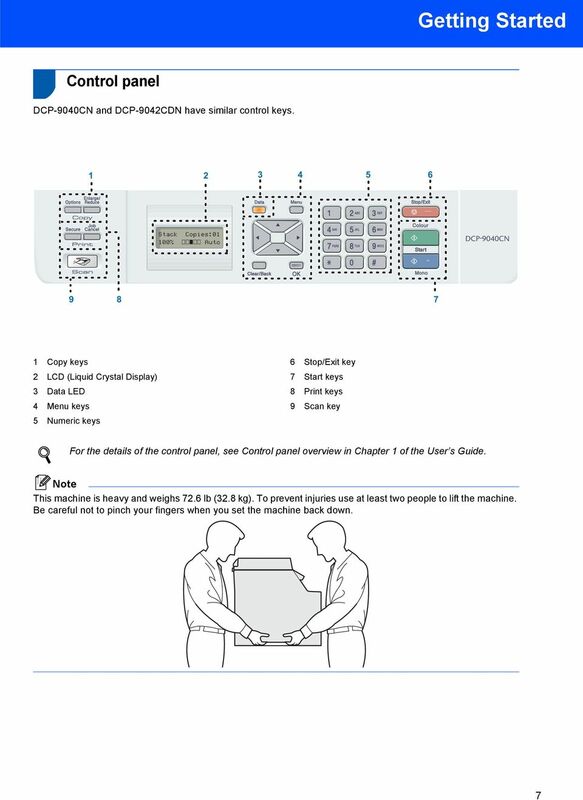 Please read this Quick Setup Guide for proper set up and installation instructions. 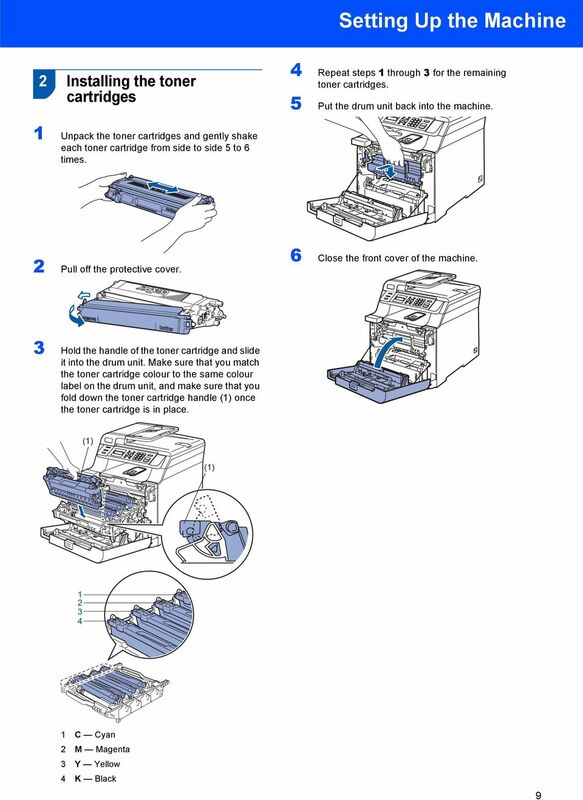 HL-2170W Quick Setup Guide Laser Printer Before you can use the printer, you must set up the hardware and install the driver. 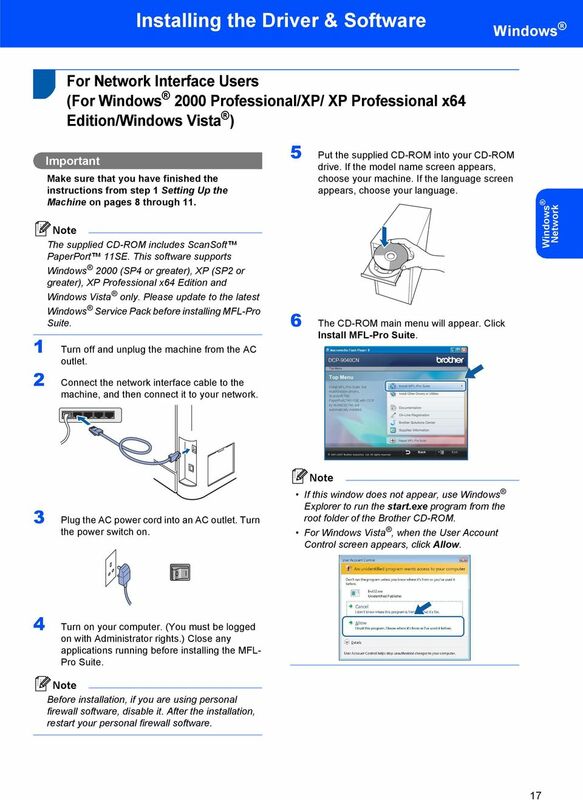 Please read this Quick Setup Guide for proper set up and installation instructions.